Over 80 participants joined PMI Romania Chapter Monthly Meeting hosted by Fortech on 12th of September. 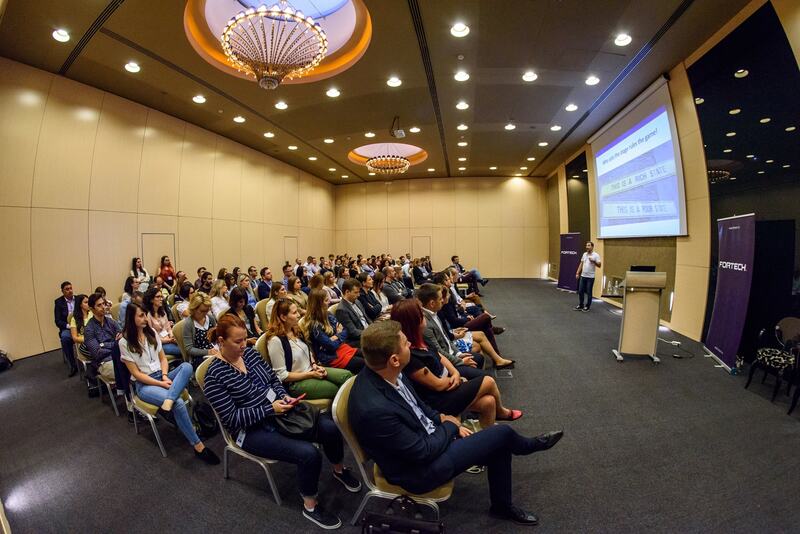 The event is a closed one and is organized every month by the Project Management Institute (PMI) Romania Chapter in partnership with a local IT company. September was Fortech’s turn and two of our Unit Managers initiated a conversation in the PMI community about the responsibilities of a project manager (PM) when it comes to sales. 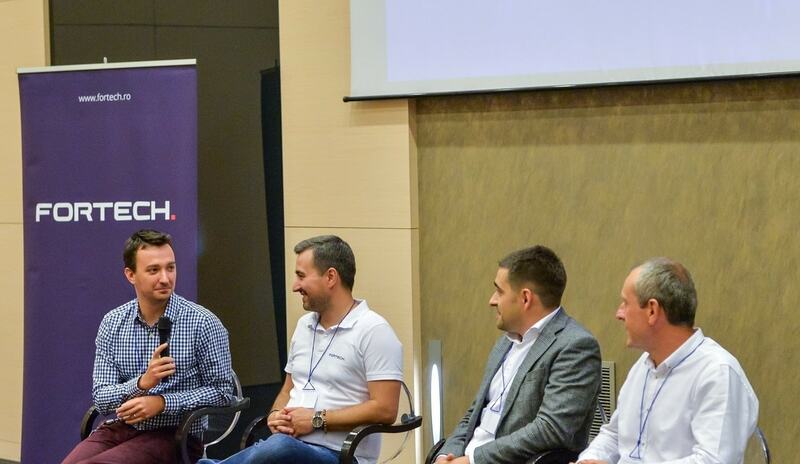 Under „Put Your Sales Hat On” slogan, the event reunited professional project managers from IT companies in Cluj-Napoca, making the large Golden Tulip Ana Dome conference room look smaller. Our Chief Operations Officer, Suneel Sharma, welcomed our guests with a speech where he emphasized our new Project Management Operation (PMO) Department and the multiple roles of a PM, including sales. The evening continued with a theoretical presentation about sales, held by our two colleagues. Both of them offered practical examples from their experience, underlining the crucial role of a project manager in closing a sale. After a moment of break, two guests joined the conversation. The subject was turned over all sides during one hour of panel talk. How hard it is to wear the sales hat, when you step in, how you sell internally were few of the questions that nurture the audience curiosity. „The topic was very well chosen and the speakers were also very relevant. I enjoyed the event and hope to see more like this organized in the future.”, said one of the participants. We are glad that the subject raised interest in the community and we are looking forward to hosting future events like this. PMI Romania Chapter is part of PMI, a leading professional membership association for the project, program and portfolio management profession, who has more than 470,000 members from 207 countries and territories.